You met the love of your life. You got married. You added some kids to your household. Now those kids are getting bigger, and they’re involved with athletics or music or art or any number of extra-curricular activities that involve going places with lots of stuff in order to do lots of things. And oftentimes, their friends are tagging along for the adventure. The time to buy a bigger car has arrived, and you don’t want a minivan. You want an SUV. 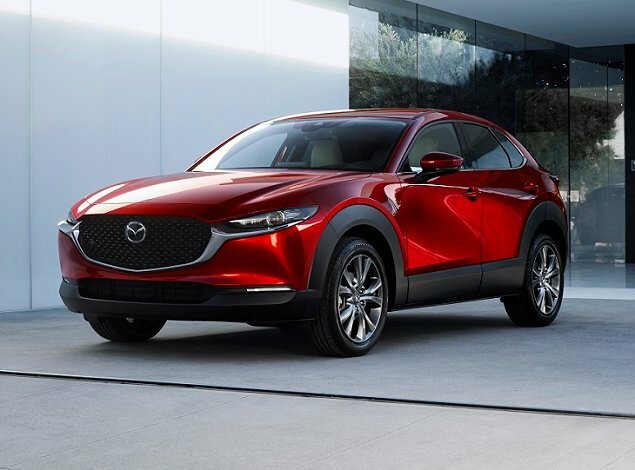 Something with three rows of seats and lots of interior space, preferably a crossover with a lower price and better fuel economy than truck-based behemoths. It should have the latest infotainment, driver-assistance, and collision-avoidance technologies, too. For 2019, three of the newest family-sized crossover SUVs you can buy are the Chevrolet Traverse (redesigned for 2018), Subaru Ascent (new for 2019), and the Volkswagen Atlas (new for 2018). For this comparison test, we grabbed top-trim examples of each and spent the day driving them back-to-back, assessing their layout and design, comfort and utility, safety and technology, and driving dynamics. Each vehicle was provided by the automaker for use during a media ride-and-drive event. According to J.D. Power data, more midsize SUV buyers are men than women (57% vs. 43%), 90% of them are over the age of 35, and their median annual household income is $116,411. They buy these types of vehicles for their practicality and price, with 28% identifying themselves as practical buyers and 23% as price buyers. Nearly all midsize SUV buyers agree that their first consideration when choosing a vehicle is reliability (97%), while 94% agree that quality of workmanship is a first consideration. Tied at 91%, midsize SUV buyers also agree that they avoid vehicles they think will have high maintenance costs, and that they prefer a vehicle with responsive handling and powerful acceleration. Paying extra for a vehicle that is environmentally friendly is not high on midsize SUV buyers’ list of priorities, with only 53% agreeing that they would be willing to do so. They also seem to understand that a vehicle like this won’t get great fuel economy, with no more than 54% of buyers agreeing that their first consideration in a vehicle is miles per gallon. Among midsize SUV buyers, 58% agree that they prefer to buy a vehicle from a domestic company. On that last point, it is important to observe that the Chevrolet is built in Michigan, the Subaru is built in Indiana, and the Volkswagen is built in Tennessee. In the sections that follow we’ll assess how these three competing vehicles perform in four important categories. An entirely subjective matter, good design is about balance and proportion, clean lines, and deft detailing. In this respect, Chevrolet’s Traverse gets the family-sized crossover SUV visual recipe exactly right. The Atlas isn’t far off, its more rugged look including oversized fender flares that undersize the SUV’s standard 18-in. wheels. Subaru trails with excess visual weight over the front wheels and exaggerated sculpturing. When it comes to the interior, Subaru’s combination of upscale style and better quality materials helps to make up for lost design ground. The Ascent looks and feels like value, whereas the Chevy and Volkswagen both suffer from glossy, inexpensive-looking plastics that are difficult to accept at their price points. Furthermore, Subaru offers a more appealing mix of colors, trims, seat upholstery, and seating configurations. Chevrolet and Volkswagen both get top marks for their control layouts. The Traverse offers simplicity and intuitive operation, while the Atlas has a Germanic, no-nonsense, but high-tech arrangement that includes a widescreen digital instrumentation display. By comparison, the Ascent’s control layout is busy and looks comparatively dated. The whole point of buying a 3-row SUV is to carry more than four or five people and/or plenty of cargo. 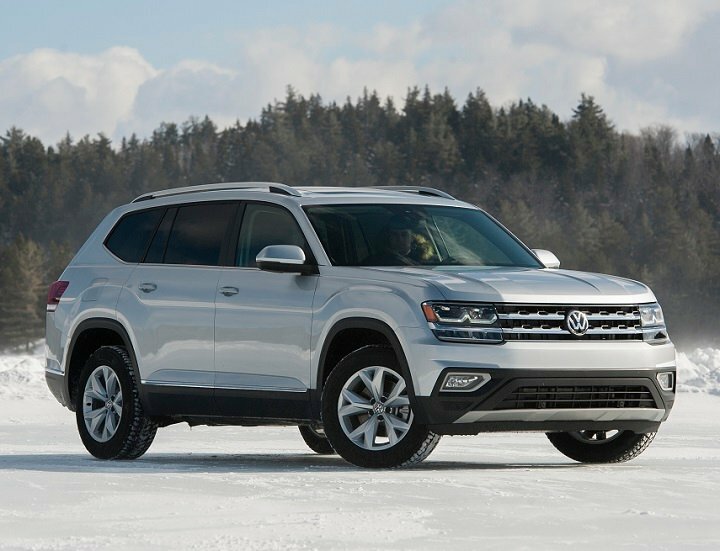 In this respect, the Volkswagen Atlas is the best choice of this trio. All three of these SUVs have comfortable front seats, and with its affordable Premium trim level, Subaru earns the distinction of offering cloth stain-resistant upholstery in combination with both seat heating and most of the appealing options available for the Ascent. However, only the Volkswagen offers the choice of a second-row bench seat in combination with the top trim level and all of the trimmings, making it capable of carrying five adults and 55.5 cu. ft. of cargo at the same time (captain’s chairs are optional for most Atlas trims). Subaru puts second-row captain’s chairs into the Ascent Touring (optional for mid-grade trims), and most Chevy Traverse trim levels include standard captain’s chairs with no second-row bench seat option. Furthermore, the Atlas’s third-row seat is habitable by adults because it sits high off the SUV’s floor and provides good leg support combined with decent legroom. The Traverse’s third-row seat is not as comfortable, and the smaller Ascent has comparably cramped quarters in the rearmost seating area. By official measurements, the Chevy has the most cargo space, ranging from 23 cu. ft. behind the third-row seat to 57.8 behind the second-row captain’s chairs. The maximum number is 98.2 cu. ft. However, the VW isn’t far behind (20.6 cu. ft./55.5 cu. ft./96.8 cu. ft.). Subaru lags behind these two competitors with 17.6, 47, and 86 cu. ft., respectively. Subaru believes in the democratization of safety, and from its basis on the automaker’s latest vehicle architecture to its standard EyeSight suite of driver-assistance and collision-avoidance systems, the Ascent reflects the company’s dedication to the health and well-being of its customers. Plus, you can obtain nearly all of Subaru’s available safety and infotainment technologies and services at a price of less than $40,000. For 2019, Volkswagen effectively matches the Subaru in terms of safety technology availability. Since blind-spot monitoring with rear cross-traffic alert is now standard, some might say VW’s approach with the Atlas is actually more appealing. The Atlas, however, doesn’t earn as stellar a crash-test report card from the Insurance Institute for Highway Safety (IIHS), and its free trial offer for safety-related subscription services is shorter than Subaru’s. Chevrolet includes two impressive safety features in every 2019 Traverse: Teen Driver monitoring technology and a Rear Seat Reminder system. Unfortunately, Chevrolet reserves many important driver-assistance and collision-avoidance technologies only for higher trim levels, and provides no more than a 1-month trial period for OnStar services. Thereafter, subscription rates are also higher than what Subaru and VW charge. Chevy’s available 10-speaker Bose premium sound system doesn’t sound as good as the 12-speaker Fender audio in the VW Atlas or Subaru’s powerful 14-speaker Harman Kardon components in the Ascent. Plus, Subaru offers an Entertainment Anywhere package with dual iPads and wireless headphones that, in combination with its 4G LTE W-Fi hotspot and USB ports in all three rows, reflects the entertainment requirements of modern families. Finally, the Subaru supplies more useful conveniences, from a wiper de-icer and steering-responsive headlights to a PIN-code entry system that allows you to leave the key fob in the car while you’re running, hiking, or biking. Chevy has a Rear Camera Mirror video feed, which is a bit of a gimmick, while VW offers automated steering assist while parking, which is helpful only in situations when you’re not sharing the road or parking lot with any other motorists. When it comes to driving dynamics, each of these family-sized crossover SUVs has a distinct personality. The one that’s most suitable for you depends on how you drive and where you want to go. 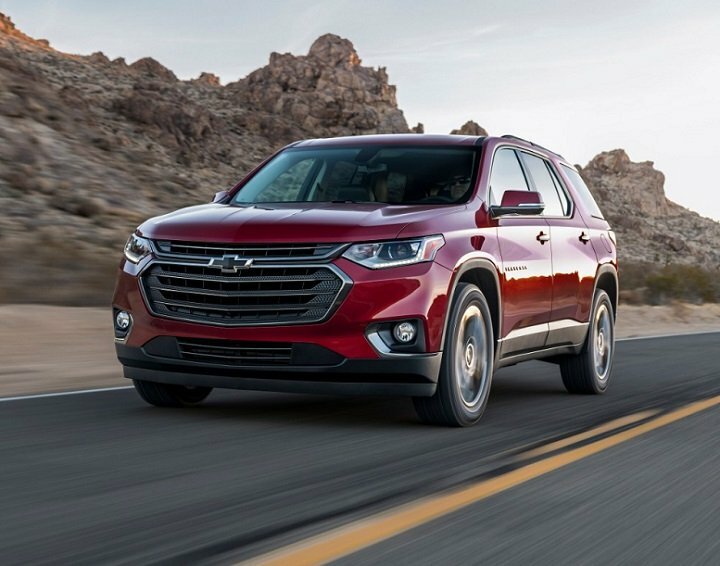 The Chevy Traverse delivers the best on-pavement driving experience, which is great because that’s where most people spend most of their time. 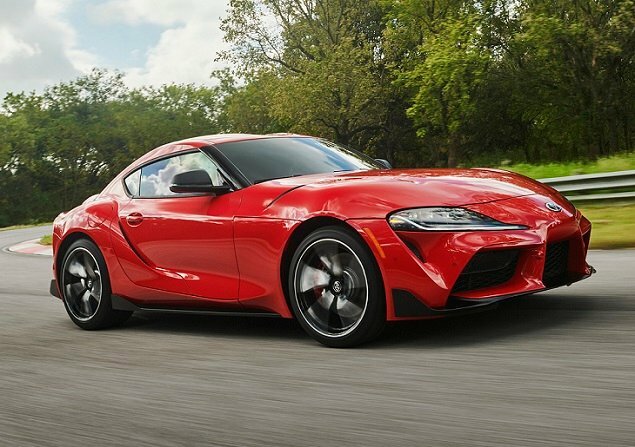 Its powerful and refined, 310-horsepower V-6 engine provides satisfying acceleration and returned the best fuel economy in the test, at 17.6 mpg*. The 9-speed automatic transmission behaved well, and engineers have tuned the Traverse for an excellent blend of ride and handling. The weak spot was the brakes, which faded to a significant degree during downhill mountain driving with two adults aboard. If you want a more engaging driving experience, look no further than the Volkswagen Atlas. 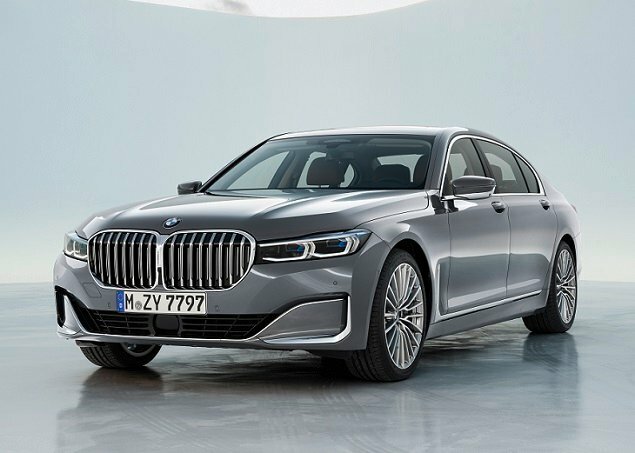 Naturally, it has a connected European feel to it, and on poorly maintained pavement too much impact harshness makes its way into the cabin. The 276-horsepower 3.6-liter V-6 is neither as powerful, refined, nor efficient as the Chevy’s engine, and it returned no more than 17.3 mpg* during testing. But, the steering, brakes, ride, and the handling are all more engaging than the Traverse’s, and with 8 ins. of ground clearance, it can blaze through a decent amount of snow, or fairly far down a trail. 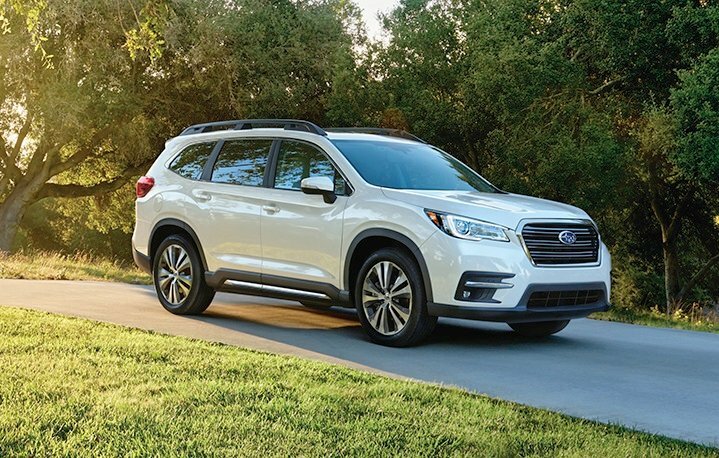 Subaru’s turbocharged Ascent proved powerful but thirsty, the 260-horsepower 2.5-liter 4-cylinder making lots of torque but getting just 16.6 mpg* in exchange for using it. The continuously variable transmission (CVT) does a good job of masking this type of transmission’s traditional droning character, but can’t completely eradicate it. Handling is less secure than the Traverse and Atlas, and the ride is a bit bouncy. The brakes, however, easily withstood abuse in near triple-digit temperatures. Plus, with 8.7 ins. of ground clearance and Subaru’s X-Mode traction technology, the Ascent can go places the Chevy and VW can’t. *Each vehicle was tested in hot weather conditions, with their climate systems fully engaged. Each vehicle also idled for up to half an hour during evaluation periods. In daily driving, you are likely to see better results than we did. Subaru’s Ascent is smaller than the Atlas and Traverse, and isn’t as good to drive or behold. But it is the most affordable of these three SUVs, and delivers both tremendous value and genuine off-roading capability. Chevy doesn’t supply critical safety systems for the Traverse’s lower trim levels, effectively asking people to pay plenty extra for maximum protection. This requirement, combined with a skimpy subscription services trial period and a perceived lack of value, kept the otherwise impressive but expensive Chevy from taking the top slot in this test. The Atlas led the pack in terms of comfort and cargo, and never ranked last in any other area of evaluation. As a result, this handsome, roomy, safe, and athletic choice is the best all-arounder of the trio. The automakers supplied the vehicles used for this comparison test.